Feathers to a bird are, if not the Meaning of Life, then the necessity of it. They insulate (this was their original purpose), they disguise from enemies or display to their rivals and intended mates, and of course they enable flight, one of evolution's most difficult challenges. (It has only arisen on four occasions in all the vast history of life - in birds, bats, insects and pteranodons, just once in each case - compared to some 40 separate times for the compound eye, oft cited as the most unlikely result of evolution.) If they are not operating at optimal efficiency, the bird may well die from heat loss, or fail to catch dinner or succeed in becoming someone else's, or be insufficiently attractive to a mate, in itself a form of death. 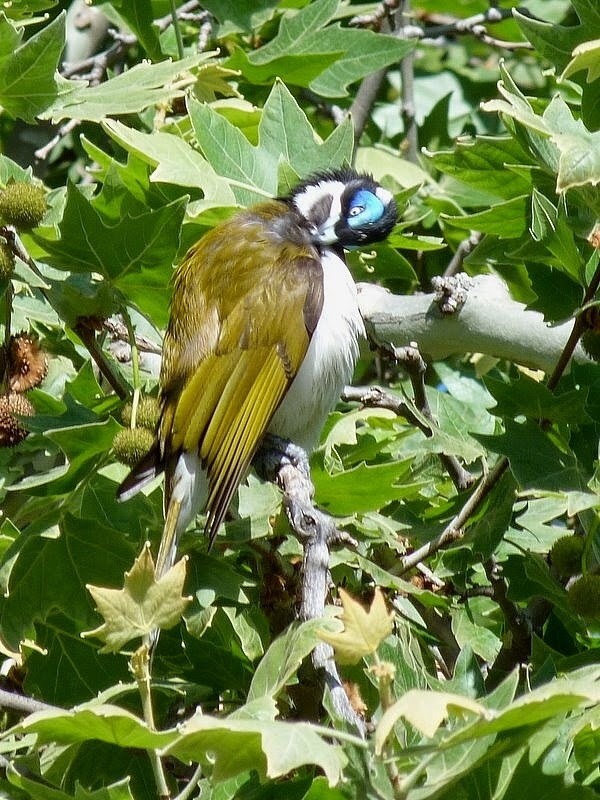 Blue-faced Honeyeater Entomyzon cyanotis preening, Griffith, New South Wales. So care of feathers is critical to life itself, and a considerable portion of a bird's day is devoted to preening to achieve this. 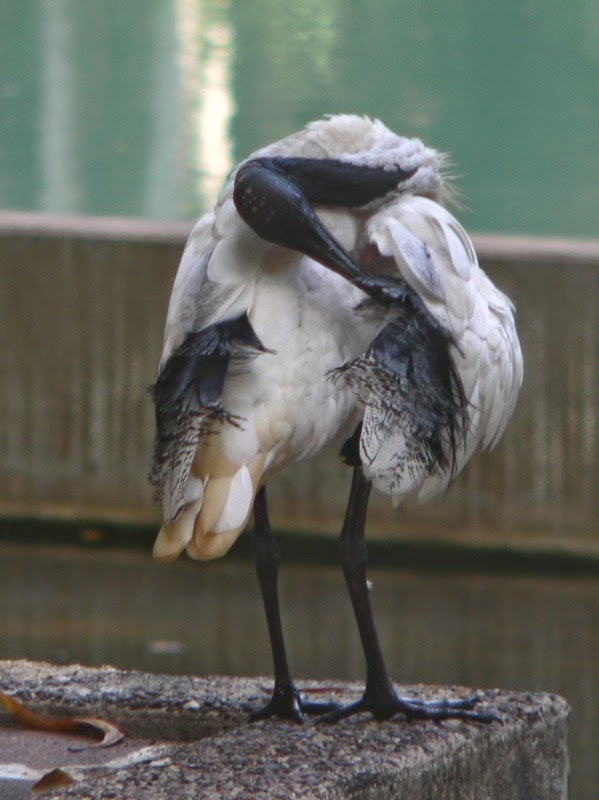 It is often closely associated with bathing, either in water or dust, but we've discussed that before and we'll focus on the direct preening today. Each feather - and there may be tens of thousands of them in larger birds or cold climate ones - must be individually 'combed' with the bill (or sometimes the foot), so that each tiny barbule 'zips' properly with the adjacent one and the whole feather must perfectly align with its neighbours. Dirt and parasites must be removed - a single bird may be carrying a dozen species of feather-eating lice, each restricted to that bird species, and each restricted to a single part of the bird's body! Yellow-billed Spoonbill Platalea flavipes, Canberra, carefully 'combing' a single wing feather. 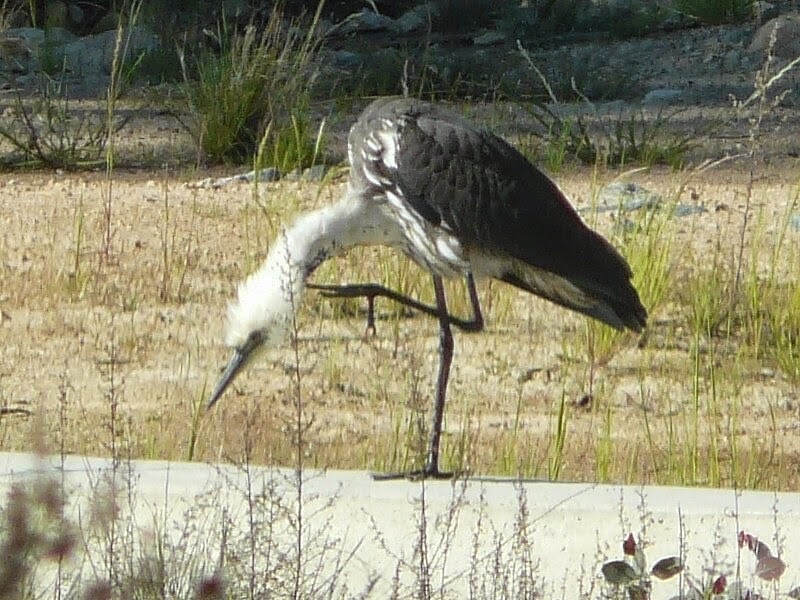 Key to most preening is a waxy oil produced by the uropygial gland at the base of the tail. 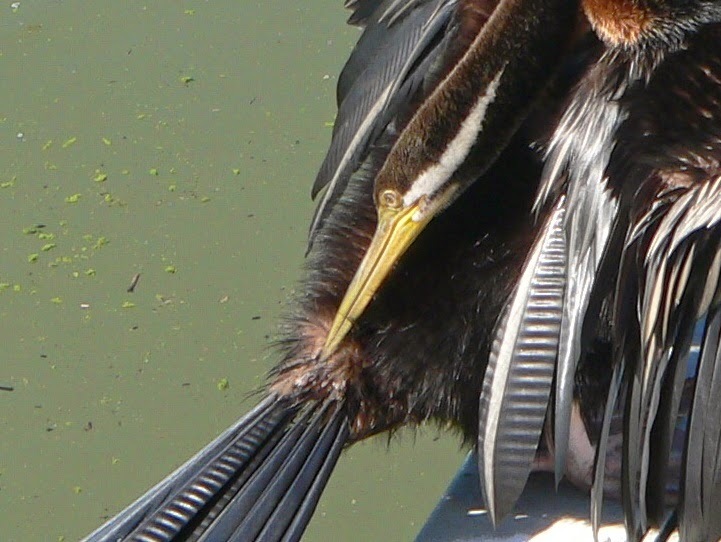 It is collected on the bill and wiped into the feathers - understandably this is particularly significant to waterbirds, though most other groups also utilise them. The birds in the following photos appear to be accessing the gland prior to applying the oil. 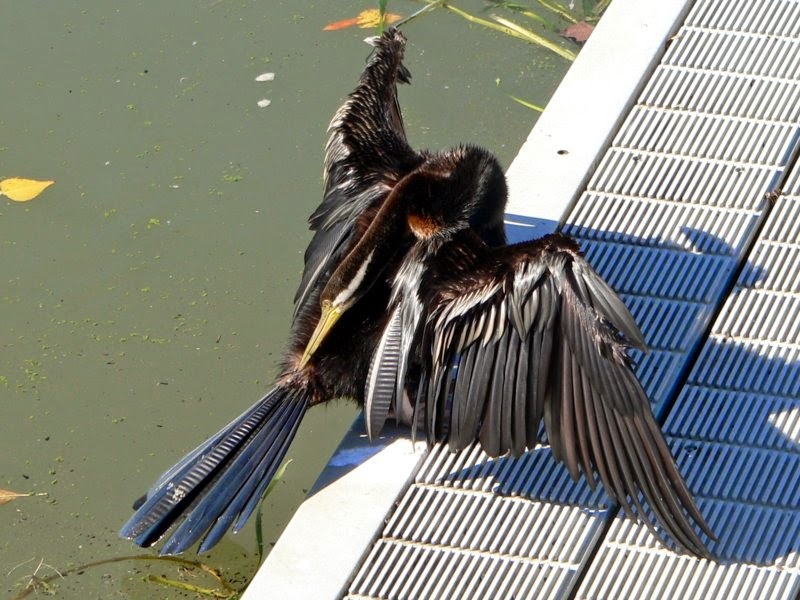 Male Australian Darter Anhinga novaehollandiae, Canberra. In close up, the gland is visible at the bill tip. Kelp Geese Chloephaga hybrida, Puñihuil, Isla de Chiloé, Chile. They are strongly dimorphic; the male is the white one, recharging with oil. Marabou Stork Leptoptilos crumeniferus, at dawn, Jinja, Uganda. 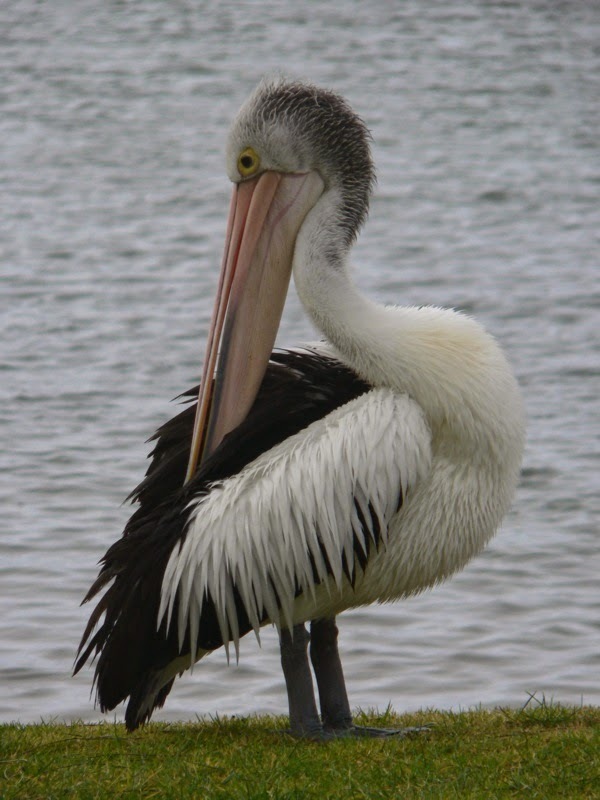 Australian Pelican Pelicanus conspicillatus, Nowra, New South Wales. Other bird groups, notably ratites (the flightless giants of the southern continents), pigeons, parrots and woodpeckers, don't have the valuable gland and many of these rely on powder down, obtained from special feathers which, unlike all others, grow perpetually and are not moulted and regrown each year. They are scattered amongst 'normal' feathers (or in herons for instance, are concentrated into a couple of patches) and their tips readily disintegrate into powdery talc-like keratin which scatters through and 'reinforces' the other feathers. 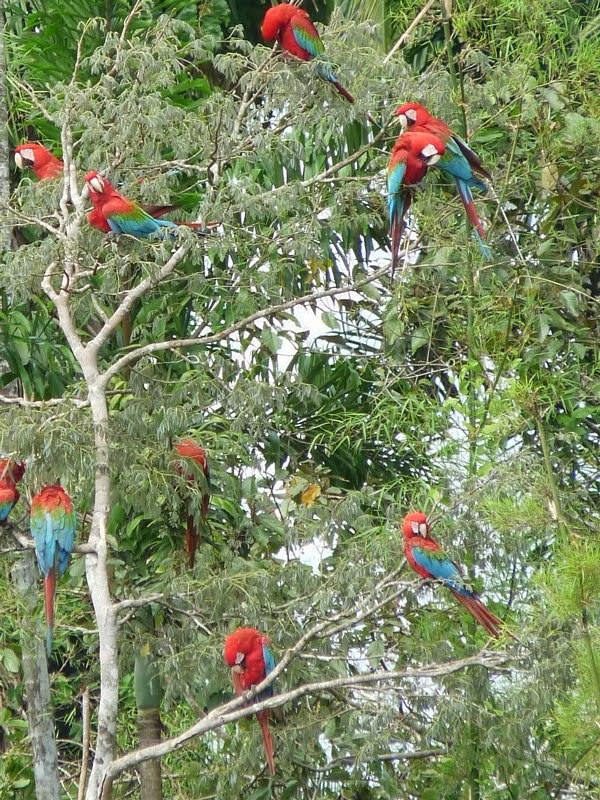 Mealy Parrots Amazona farinosa, Blanquillo Clay Lick, Peruvian Amazonia. The 'mealy' name, meaning 'floury', is due to plentiful powder down. are using powder down to preen. 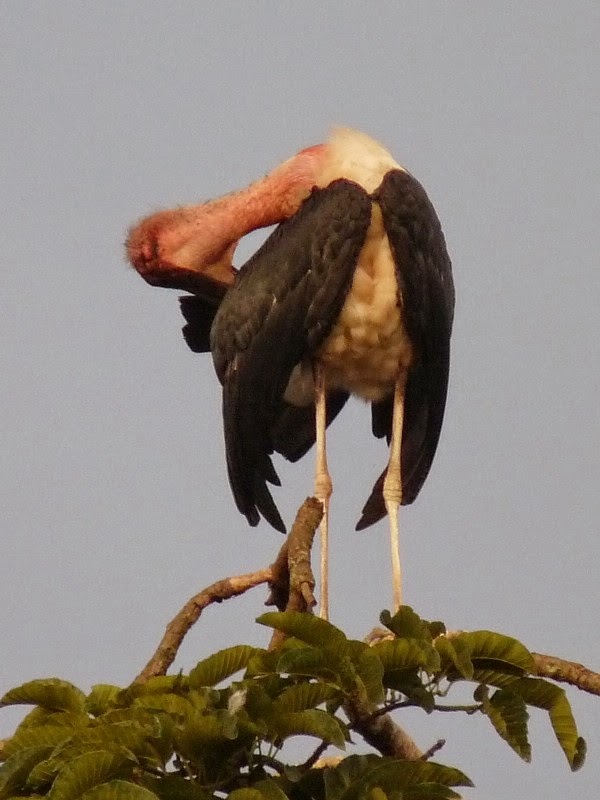 Some parts just can't be reached with a bill (especially the head) and feet must be used to comb out the feathers, though presumably it can't be as effective. White-necked Heron Ardea pacifica, Grenfell, New South Wales. Golden-headed Cisticola Cisticola exilis, Canberra. Olive-backed Oriole Oriolus sagittatus, Nowra, New South Wales. Additionally, mutual grooming - 'allo-preening' - can also help to reinforce pair bonds, as well as getting the job done. Apostlebirds Struthidea cinerea, Cobar, New South Wales. 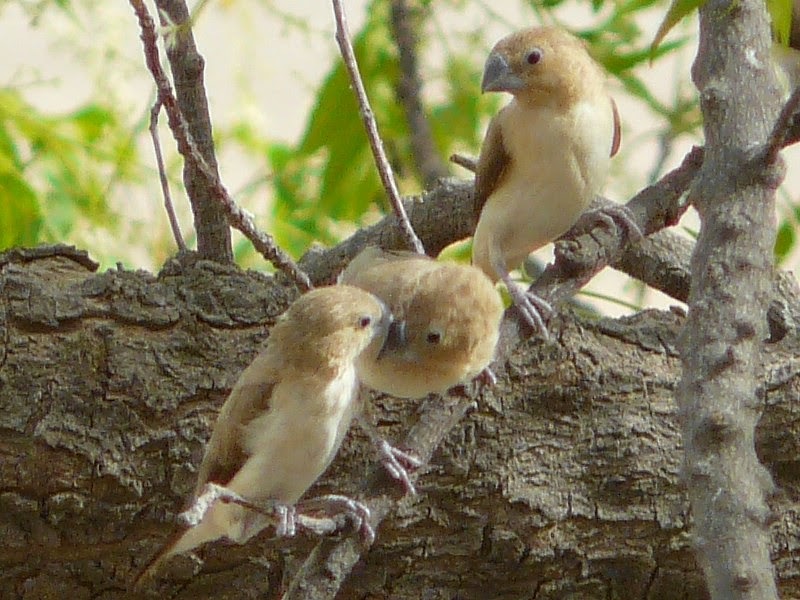 One of the most sociable birds in the world, the behaviour here reinforces bonds for the whole group. Major Mitchell Cockatoo Lophochroa leadbeateri, MacDonnell Ranges, central Australia. African Silverbills Lonchura cantans, Waza National Park, northern Cameroon. 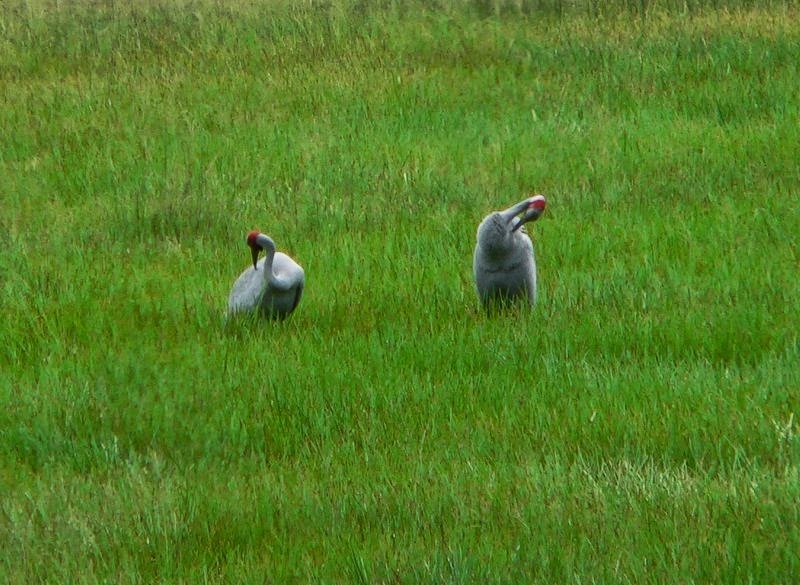 Brolgas Grus rubicunda, Rockhampton, Queensland. Brown Pelican Pelecanus occidentalis, Puerto Ayora, Galápagos. Flightless Cormorant Phalacrocorax harrisi, Fernandina, Galápagos. Great Crested Grebe Podiceps cristatus, Lake Alexandrina, South Australia. Little Raven Corvus mellori, Kosciuszko National Park, New South Wales. Mistletoebird Dicaeum hirundinaceum, Goolwa, South Australia. Australian White Ibis Threskiornis moluccus, Darwin. Nazca Booby Sula granti, Española, Galápagos. 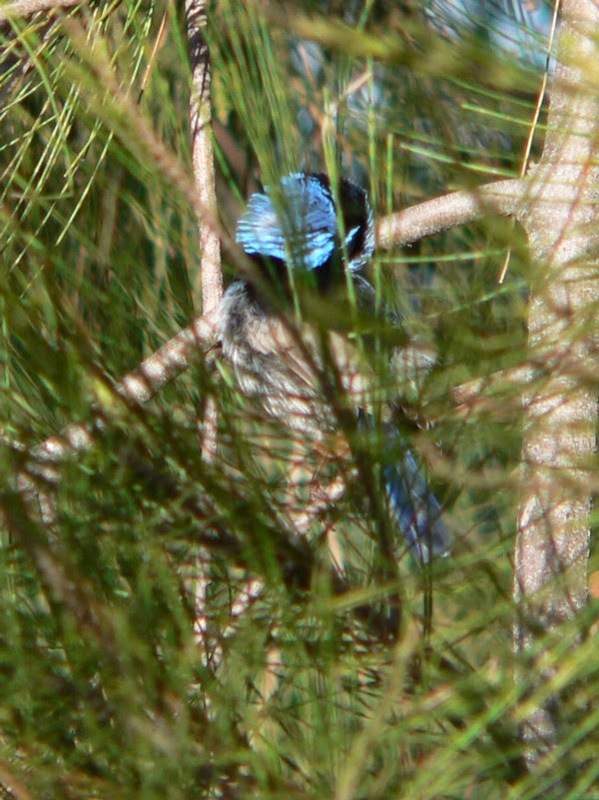 Superb Fairy-wren Malurus cyaneus, Canberra. You probably see birds undertaking this task - doubtless mundane, though vital, for them but fascinating for us - more often than you realise. Take time to enjoy the moment next time, knowing what they're up to. Postcards from the North | True stories with poetic licence. Some are funny, some are not.